Our selection of handmade wooden four poster beds are a testament to the level of luxury we aim to achieve with every one of our bed frames. 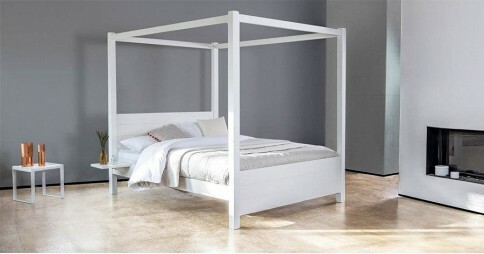 They’re sturdy, reliable and make a stunning centrepiece in any bedroom. With a contemporary design that puts a modern twist on these nostalgic four poster beds, we’ve brought a beloved part of British history into the limelight once more. 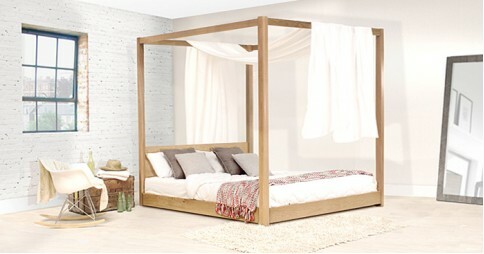 The Classic Four Poster Bed brings the design most reminiscent of the four poster beds from the past. 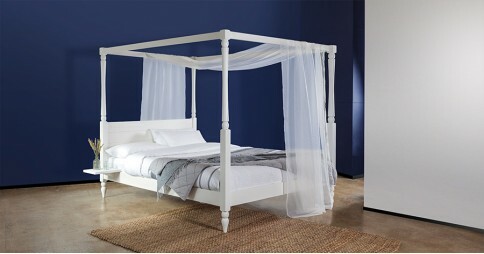 The handmade Summer Four Poster Bed is a breath of fresh air and is perfect for the warmer months while the Low Four Poster Bed is an excellent space-saving and minimalist alternative. Each one is expertly handmade by our skilled carpenters and joiners at our workshop in Leicester, the heart of rural England. To ensure we keep to our high standard of quality for every one of our wooden four poster beds, they are all thoroughly checked before being conveniently flatpacked and shipped straight to your front door. 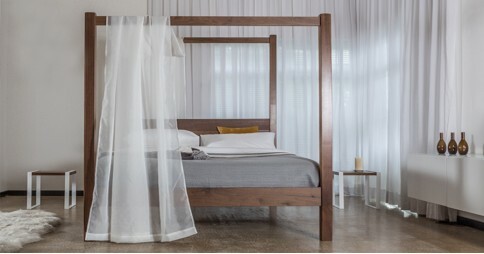 We offer an 11 year guarantee as standard on all our handmade wooden bed frames, so you can be sure that if your bed isn’t happy, it doesn’t mean you don’t have to be. With a variety of different sizes, such as the popular king size, the super king size and larger, we know we have something for you. We also offer a bespoke alteration service starting at only £55. If you have specific requirements or design changes, we can custom make your wooden bed frame to fit whatever space you need. 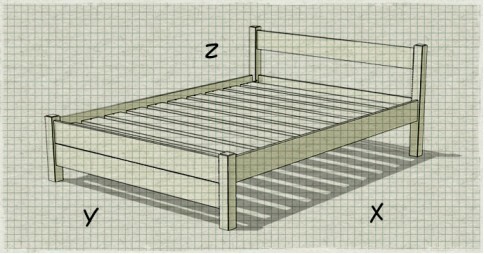 To add the finishing touch to your wooden bed frame, we include the option to personalise with your choice of colour. Choose from a variety of ten luxurious satin stain finishes, including finishes such as smooth black, refreshing white and classic grey, all popular choices with our customers. Our beds are made from Solid Scandinavian Pine, however if you’re looking for that extra element of luxury and a more natural looking bed, we also offer eight sustainably sourced Solid Hardwoods that you can pick from. 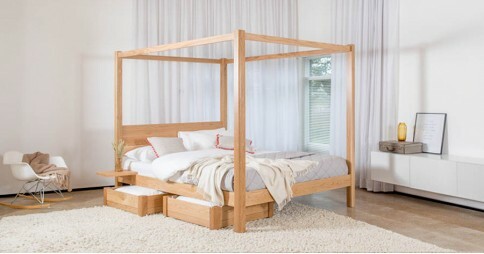 We offer Oak, Walnut and many others, so you can get the perfect looking wooden bed frame for your bedroom. 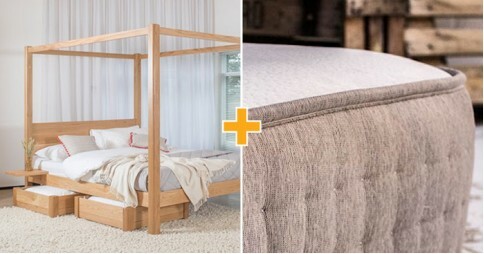 All of our handmade wooden beds have these options in order to provide you with the utmost level of comfort, stability and a good night of sleep. We take pride in our beds, and if you ever want to know more about our wooden four poster beds, or any of our other handmade wooden beds, don’t hesitate to give us a call on 0207 183 5464.